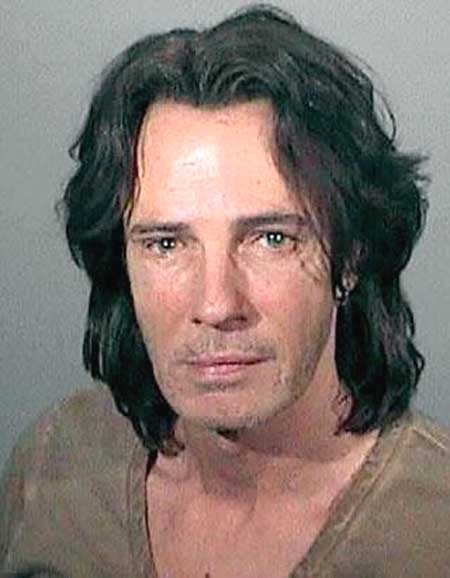 Singer Rick Springfield was arrested by the Los Angeles County Sheriff’s Department in May 2011 for suspicion of drunk driving. The 1980s pop star, 61, was pulled over by officers in Malibu along the Pacific Coast Highway. A Breathalyzer test showed his blood alcohol content at .10. The “Jessie’s Girl” singer was then booked into jail where he posed for the above mug shot before posting $5000 bail. Submitted by rcmayo on Thu, 2011-06-02 20:30. Actually he should have been arrested in the studio immediately after recording jesse's girl. Submitted by jpasfr on Wed, 2011-05-11 22:54. "Hey Moody, join the party. We have a free hole right here!"